All Yacolt homes currently listed for sale in Yacolt as of 04/20/2019 are shown below. You can change the search criteria at any time by pressing the 'Change Search' button below. If you have any questions or you would like more information about any Yacolt homes for sale or other Yacolt real estate, please contact us and one of our knowledgeable Yacolt REALTORS® would be pleased to assist you. "Fully renovated custom home & separated bedrooms enjoy privacy or multi generational living. Tasteful use of Barnwood & Shiplap add character! Ample sized living room & kitchen features Quartz counters, large island open to octagonal window lined dining room. Spacious master suite features huge walk in shower. 2 bdrms down & bonus rm enjoying territorial views, private entrances + Tandem shop for the toys. Your own private oasis!" "Beautiful home in parklike setting on 10 acres. Large day-ranch exceptionally maintained. Open vaulted great-room with wood ceilings, rock fireplace,harwood floors, open kitchen with custom cabinetry. 3 bedrooms on main. Huge bonus-family room plus 2/3 bedrooms down. Tons of storage here. Guys dream shop 1200sf plus 800sf lean to RV covered storage. Large outdoor covered picnic area with fireplace. Trails, quiet, pristine view setting." 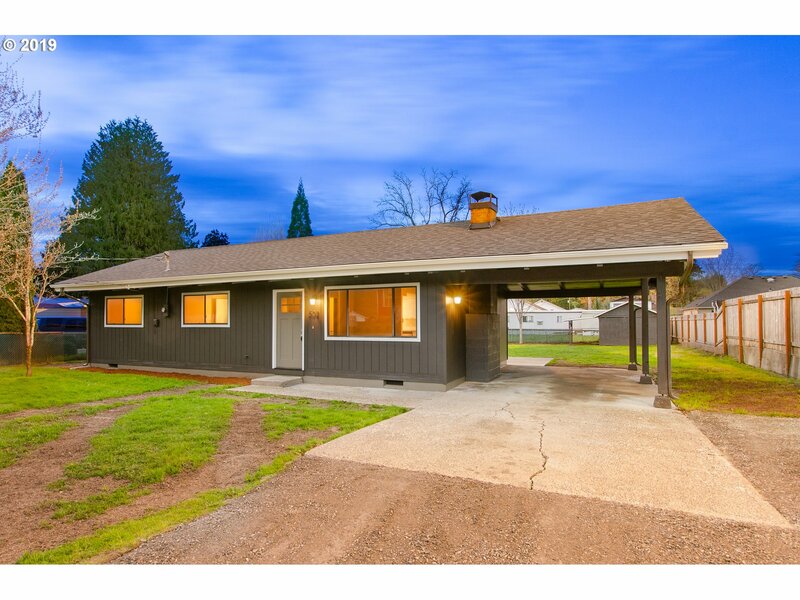 "Beautifully remodeled single story on large lot in the heart of Yacolt. Vaulted open and bright with southern exposure. Cozy brick fireplace with woodstove. New carpet and New paint in and out. remodeled kitchen features SS appliances, new counters and tile backsplash. Large covered carport, Huge fenced backyard for entertaining. Shed." "CHIP & JOANNA Might have been here!! This is a Dollhouse! Just remodeled, so many adorable updates! Shiplap, barn door slider, subway tile, farmhouse style wood lights. Brand New Kitchen & Bathroom, brand new Flooring, new Interior Paint. Adorable large front porch, bring your cozy front porch chairs and relax! New Fencing, DBL LOT! Detached Garage/Shop.She won't be available long!"